Join us on Saturday, June 1st from 11am – 3pm for Family Day at the Marina. Beautiful classic yachts will be taking over our guest moorage and will be open to the public for free tours. You will also have the opportunity to sign up for free powerboats rides provided by Freedom Boat Club. Our public plaza (located behind Anthony’s Beach Cafe) will have community booths, a craft table, food trucks, live music and interesting marine-related activities for the whole family. We hope to see you there! Please join us in our public plaza (behind Anthony’s Restaurant) every Wednesday from 5-7pm and Sunday from 1-3pm starting June 19th for Sea Jazz summer concerts. 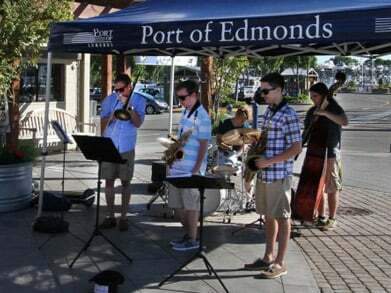 This live music is brought to you by local musicians from the Edmonds School District. Bring a picnic or a chair and enjoy the sweet sounds of summer at the marina. Concerts run through September 1st.